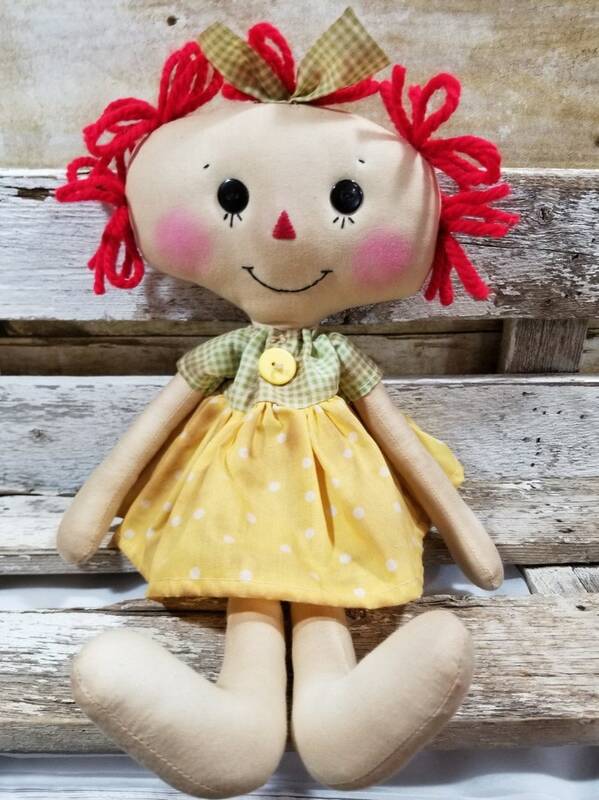 Raggedy Annie Sarah Annie Primitive Doll Raggedy Ann Yellow Polka Dot Dress Annie Doll Ready To Ship! 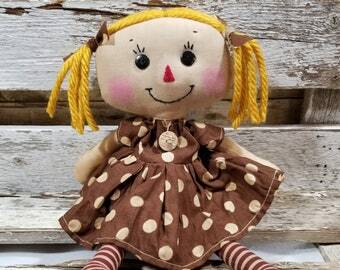 Raggedy Annie Sarah Annie is wearing a yellow polka dot dress with bloomers. 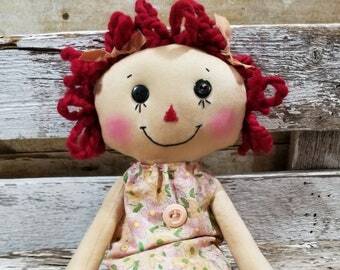 Annie has a hand stitched face with button eyes and red wool hair. 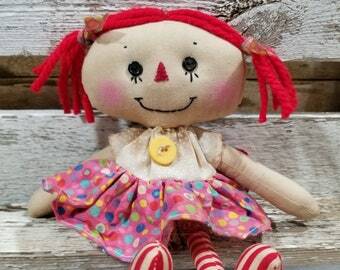 Raggedy Ann is coffee washed for that prim look and is signed and dated by me. Sarah Annie comes with a prim tag with her name on it and measures approx. 17 inches. Sarah Annie is ready to ship ASAP! Care For Your Dollys: Please keep away from water or moisture as it will ruin its coffee stain color. 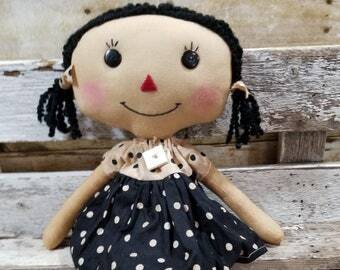 Raggedy Annie Lucy Annie Primitive Doll Raggedy Ann Black Polka Dot Dress Annie Doll Ready To Ship! 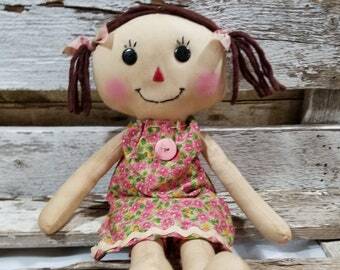 Raggedy Annie Lilly Annie Primitive Doll Raggedy Ann Pink Floral Dress Annie Doll Ready To Ship! 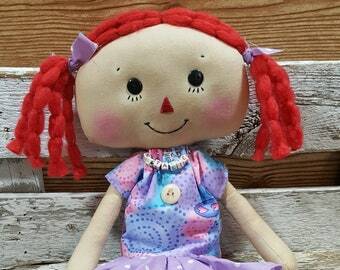 Raggedy Annie Samantha Annie Primitive Doll Raggedy Ann Red And Pink Floral Dress Annie Doll Ready To Ship! 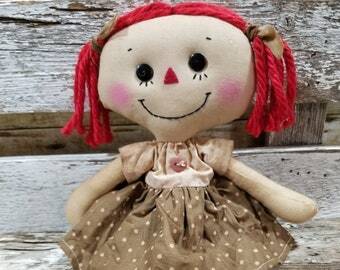 Raggedy Annie Krista Annie Primitive Doll Raggedy Ann Brown Polka Dot Dress Annie Doll Ready To Ship! 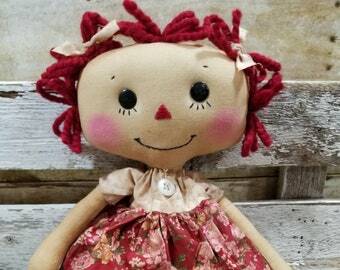 Raggedy Annie Sandy Annie Primitive Doll Raggedy Ann Brown And Pink Polka Dot Dress Annie Doll Ready To Ship! 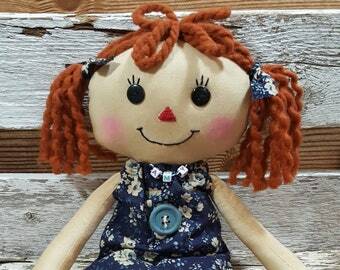 Raggedy Amy Jean Annie Primitive Doll Raggedy Ann Blue Floral Pillow Dress Annie Doll Ready To Ship! 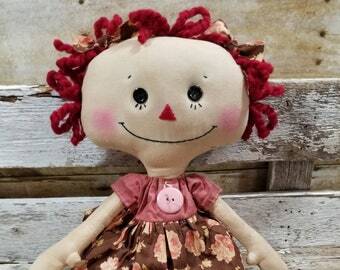 Raggedy Annie Krista Annie Primitive Doll Raggedy Ann Pink Floral Pillow Dress Annie Doll Ready To Ship! 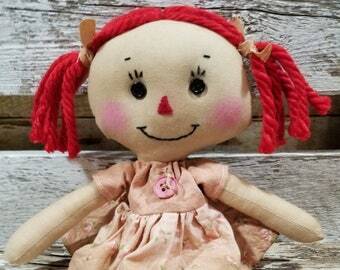 Raggedy Annie Billie Jean Annie Primitive Doll Raggedy Ann Light Pink Floral Pillow Dress Annie Doll Ready To Ship!